Oh, the rush of watching a site rises in the rankings – or even just a great piece of content. When you are targeting a set of keywords and doing all you can to get better rankings, having it pay off can be extremely exciting. After all, this is what SEM (Search Engine Marketing) is all about, right? Well, if you said ‘no way!‘ then you are absolutely right. 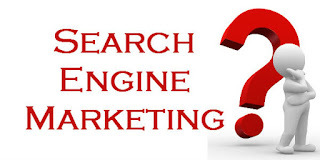 You see, there’s a distinction that needs to be made in both SEM and SEO Service (Search Engine Optimization) that a lot of people gloss over. It’s the fact that the best ranking in the world isn’t going to mean a thing if you aren’t getting clicks on your listing. A beautiful, wildly entertaining multimillion dollar TV commercial that didn’t drive sales would be a similar kind of failure. Marketing is all about getting sales, not just making sure a lot of people see your marketing message. So that’s what we want to talk about today: the importance of actually getting clicks when you are doing SEM. It is, after all, the gold standard we have to work with. Clicks equal traffic and, if you’ve done the rest of your work properly, traffic should mean profits. It should go without saying that if you don’t stand out, you shouldn’t expect to be noticed. However, if it did then we would not need to say it here and we feel we do. Here’s the problem: a lot of marketers think a standard issue listing is ‘good enough‘. To a certain extent, it is definitely what it takes to get listed by Google, but it’s not likely to catch the searcher’s eye which is what you have to do if you want clicks. Remember, searchers have several listings to choose from that all look more or less the same in most cases, so if you want them to pick your listing and click on it, you’ve got to make them notice it first. Perform a search for just about any random word or phrase and you will notice when listings stand out and when they barely deserve the energy it takes to look at them. Marketers who are still thinking all they need to do is throw up a site and rank highly are living in the past. Forget posting up a hastily assembled site on an EMD (Exact Match Domain) and scoring the big bucks – while this method still works very well when done correctly, it is not really a model to bet your future on. Everything you do for your site needs to set it apart in the eyes and mind of the consumer. If you are a blogger and looking to obtain blogging fame, you want every post to stand out in the search results. Posting content is great, but posting great content is even better and you can make sure that outstanding content gets the views it deserves by making sure it stands out on the SERP (Search Engine Results Page). Maybe your main focus in SEM is on SEO due to budget or time restrictions or maybe simply because PPC (Pay per Click) marketing isn’t something you’ve polished yet. That’s fine, but you know what? You can learn from these marketers. They are almost totally focused on writing snippets that generate clicks because that’s the way PPC ads work. There’s not much space, but there’s plenty of competition, so it is important to make the words count and really pique the viewer’s interest so that they click. In PPC, optimizing for clicks was crucial to the success of the campaign. SEO’s have had it easier, in many respects, but PPC people also know that ‘wasted clicks‘ that spend their money because they enticed in someone to click on their ad who didn’t want what was for sale are an even worse money drain. You want to keep this in mind and be sure that how you optimize your listing helps it not just become more attractive, but to become more attractive to the right kind of visitor. Google’s only just begun to judge sites harshly on how well they please searchers who discover them. Chances are good that they will get much more judgmental in the years to come. After all, Google’s bread and butter come from making sure searchers continue to patronize them. That means, it behooves them to get rid of sites that don’t please searchers. This is part of the reason we advocate authority sites that you focus on intensely, developing their content as well as other aspects of their marketing until they are both popular within their niche and profitable. It’ll also help you avoid the temptation of jumping on new ‘tactics‘ designed to get good rankings or more traffic only to find that conversions remain low. It is nonsense, too, because no one who’s actually paying attention is going to believe those ratings or reviews are meaningful. You can waste a lot of time fiddling around with rich snippets like these and do very little good for your listings. Why? Because there are often several of these on a page, particularly in competitive markets where it is the current fad. It’s better to just skip over this fad since it’s already in full swing and already raises eyebrows among the bulk of people who might actually have money to spend with you. Save your energy to do something actually productive instead. Now here’s a way to stand out that’s not going to waste your time and effort. If you are not yet using Google Authorship to your advantage, then it’s time to get started and not just because Author Rank is becoming important for ranking content. When you get started with Google Authorship, you have the option to input your name and also a photo. A tiny version of your photo will then be posted along side content you have authored. This is great and it also gives people more confidence that a real person created the content they’ll see if they click you’re listing. That has a more powerful effect than you might think in terms of driving visitors towards you and away from more anonymous looking content with no name or face to tie it to. It’s a good question and the best part is that if your photo’s boring, all it takes is a bit of work in photo editing software to make it more exciting. You don’t have to hire a pro level photographer to make you look amazing; you only have to do what it takes to stand out a little bit. If you can accomplish that, then you’re halfway there. You’ve shown you’re a person with your rel=author and you’re showing off a distinctive photo to catch their eye one more way. Remember, too, that when you are using Google Authorship to help promote your content, it is going to post a ‘more‘link up there in tiny text that some searchers may click and if they do, they can see more content from you. This is such a powerful way to promote your business online that not using it is a huge mistake. Be sure you set up your account and, while you’re at, start using the Google Plus social networking platform, too. It’s only going to help your content marketing efforts to do this. It’s all about standing out and making your listing one of those purple cows, but once you’ve gotten your Google Authorship established and you’ve done what you could to make it enticing with the right text what do you do next? Why video, of course. It turns out that it’s considerably easier to add video content to your listing than you might be thinking. As long as Google recognizes your embed codes and you’ve got XML video sitemaps and Open Graph markup in place then you’re all set. Your videos will show up next to your listing. While not everyone makes videos, chances are good that with YouTube (a Google owned property, by the way) so chock full of videos, you can most likely find a good one to put into some of your content. 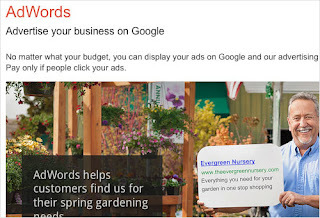 Google will grab a snippet and post it with your listing. 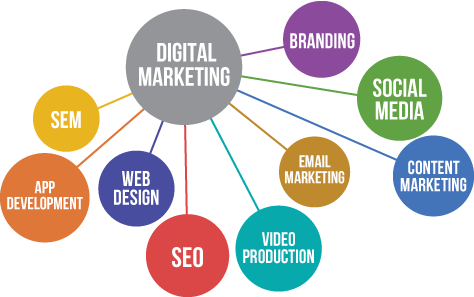 That could give a you a distinctive edge over your competition since we all know how much people are attracted to videos. This is one more way you can make sure you are doing everything possible to make your best content stand out, capture interest and drive clicks. Putting all that we’ve mentioned above to work could take up some of your time and energy, but if you are already building sites you want to last stocked with content that’s going to provide value for years to come then it makes sense to do so. Standing out in the SERP is going to lead to conversions if you actually focus on making sure that people get what they want when they click-through your listing (which is basically an ad for your content) and arrive at the content itself (which is designed to sell them on what you have for sale). It’s not as complex as it sounds so do make some changes now if you’ve essentially been focusing too much on grabbing rankings rather than making your listings generate clicks. We’d love to hear your experiences if you’ve been practicing anything along these lines already. Are you seeing results by using Google Authorship? What about when you insert videos into your post? There are so many little techniques for optimizing your listings that we most likely didn’t even cover them all here, so if we’ve missed any please do speak up. Feel free to leave a comment below if you have any questions we can help you with, too. We’ll respond as quickly as we can. It can happen to any business. Can You Trust SEO Companies?